Here are my favorite albums for 2011 that have passed fully through my listening rotation. 1. 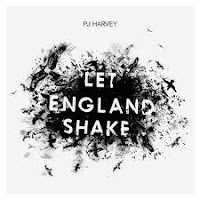 Let England Shake - PJ Harvey: It's easier to admire than it is to love, but there's no question PJ Harvey's odd, haunting rumination on the horrific human toll of war stands as a major work of art. One of the most holistically complete albums in recent memory. 2. 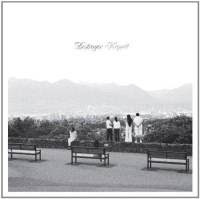 Kaputt - Destroyer: Dan Bejar dives full on into late 70s/early 80s kitsch, and somehow comes up not with cheese, but one of the best flowing, most romantic releases of 2011. Reminiscent of Roxy Music's Avalon, but far funnier, it seems destined to become one of the premiere make-out albums for today's college generation. 4. Scandalous - Black Joe Lewis & The Honeybears: Some albums are fun. This jammy collection of lively, raunchy funk and blues numbers is ridiculous fun. The best party album of 2011. 10. 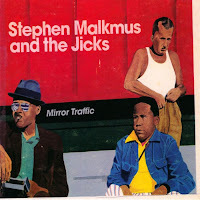 Mirror Traffic - Stephen Malkmus & The Jicks: Malkmus veers away the heavy pyschedelia of 2008's Real Emotional Trash, instead producing a loose, snarky, ramshackle collection of widely eclectic pop and rock tunes. Several fun moments on this one. 11. 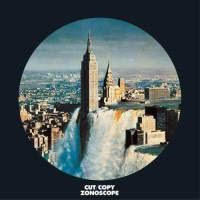 Zonoscope - Cut//Copy: Right on par with 2008's In Ghost Colours, Cut//Copy delivers another easy-to-love dance-rock gem. 12. 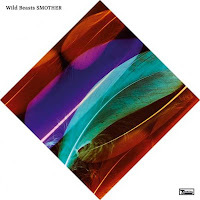 Smother - Wild Beasts: The suffocating nature of desire...and all that we sacrifice in its service...is given a sophisticated examination in this restrained but thematically sharp slow burn of a release. 13. Yuck: Some have criticized this marvellous distillation of 90s fuzz-rock styles as too derivative, but I found the album, especially it's gangbusters opening six tracks, to be a hugely entertaining. 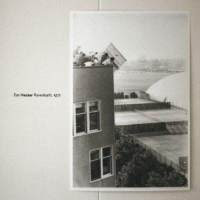 If you like Dinosaur Jr., you may love this. 14. Burst Apart - The Antlers. 15. Carrion Crawler/The Dream Double EP - Thee Oh Sees. 16. 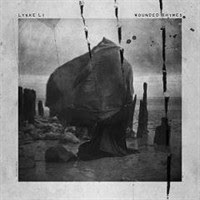 Wounded Rhymes - Lykke Li: In a dramatic and impressive stylistic shift, Li abandons the shy wallflower persona evoked on her 2007 dance-pop debut for a ballsy set of sexually assertive garage-rockers and pre-British Invasion Brill-era ballads. 17. 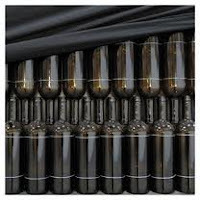 Ravedeath, 1972 - Tim Hecker: Partially recorded on a pipe organ in an abandoned Icelandic cathedral, Ravedeath, 1972 is a very difficult, abstract listen...but it is also as conceptually fascinating as ambient music gets. 18. House Of Balloons - The Weeknd. 19. 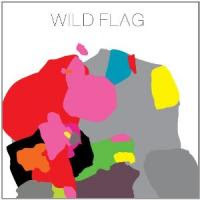 Wild Flag: Jammy, exuberant psych-pop debut from all female, indie super group including Carrie Brownstein and Janet Weiss of Sleater-Kinney isn't quite as strong as some critics would have you believe, but it's still one of the better releases of 2011. 20. 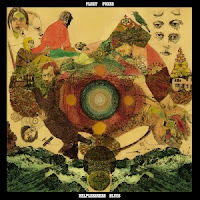 Helplessness Blues - Fleet Foxes: Confessional rather than mysterious, Helplessness Blues is a less inspired, more workmanlike LP than the band's fantastic debut, but the production and arrangements are so strong, they lift the record to a point where it's actually a slightly better, more consistent album. 21. Nine Types Of Light - TV On The Radio: Though not quite of the caliber of previous releases Return To Cookie Mountain or Dear Science, Nine Types Of Light is nonetheless another solid effort from this highly original Brooklyn outfit, and a stirring declaration of their love for recently deceased band member Gerard Smith. 22. 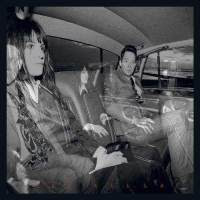 Blood Pressures - The Kills: Bluesier and more varied than predessor Midnight Boom, Blood Pressures is the richest and best sequenced Kills's album to date, anchored by song of the year contender DNA. 26. The Bright Lights EP - Gary Clark, Jr.
27. 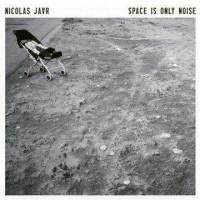 Space Is Only Noise - Nicolas Jaar: Combine the rampant textural eclecticism of career peak Moby with a slower paced, distinctly after-hours feel, and that gives you a very good sense of the surprises in store on this excellent full-length electronica debut. 28. 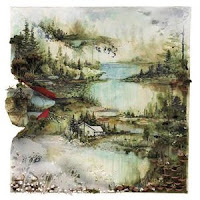 Bon Iver - Bon Iver: As lush as debut For Emma, Forever Ago was spare, Bon Iver's Bon Iver is a much more difficult album to grasp, but this collection of dense, gorgeous soundscapes should still appeal to the majority of his fans . 36. Black Up - Shabazz Palaces. 37. 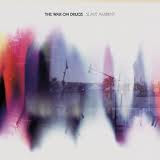 Slave Ambient - The War On Drugs: A road album if there ever was one, this hazy, easy, slightly Dylanesque album seems determined to channel classic rock, 80s new wave, and 90s shoegaze tropes simultaneously, and consistently succeeds to a surprising degree. Amorphous, but highly enjoyable. 39. 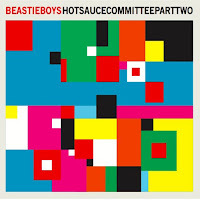 Hot Sauce Committee Part Two - Beastie Boys: The electric, hyper-produced beats are the clear star in this engaging but sometimes static offering from one of party rap's most durable acts. 40. 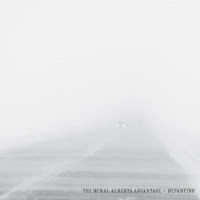 Departing - The Rural Alberta Advantage: No masterpieces here, but I found this collection of propulsive, acoustic indie-folk tunes thoroughly enjoyable nonetheless. 47. 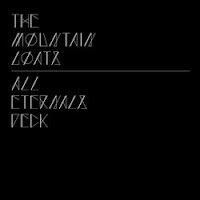 All Eternals Deck - The Mountain Goats: Nothing new here, just another thoroughly engaging Mountain Goats release. 48. 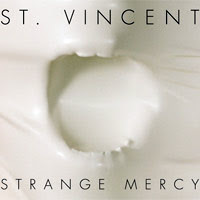 Strange Mercy - St. Vincent: Annie Clark's third combustive mix of rock and orchestral elements is her most ambitious, daring, and cleared-eyed yet, but not, for me at least, her most enjoyable. 51. 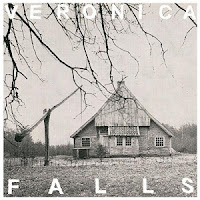 Veronica Falls: This Scottish act's debut is just a very consistent, tremendously hooky recombination of simple garage rock and dream pop sounds. No knockout tracks, but effortlessly listenable start to finish. 57. 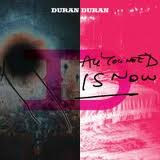 All You Need Is Now - Duran Duran: Picking up right where they left off, Duran Duran sounds as if the developments of the last 20 years in pop music never happened, but fans of these MTV era golden boys will find plenty to like in this surprisingly solid, cheesy but fun return to form. 58. 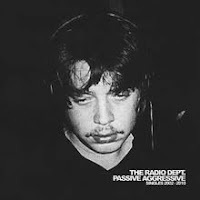 Passive/Aggressive: Singles 2002-2010 - The Radio Dept. : Both the abundant fuzzy charms and significant limitations of this well-respected Swedish dream pop act are on full display in this expansive, career-spanning retrospective. 64. 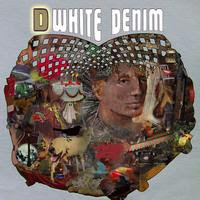 D - White Denim: Classic psychedelic country-rock harmonies and jams galore in this uneven but very likable offering from one today's best contemporary garage acts. 65. 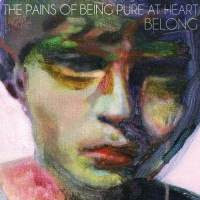 Belong - The Pains Of Being Pure At Heart: The layers of throbbing 90s-flavored guitars are a welcome addition to this act's spirited, droney, dream pop sound, but weaker overall songs make this sophomore effort a slightly less engaging album than their 2009 self-titled debut. 71. 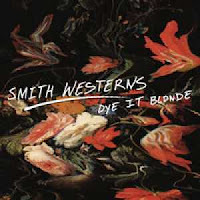 Dye It Blonde - Smith Westerns: Sophomore effort from this young Chicago act offers tons of upbeat energy and an appealing, early 70s glam-pop feel, but few of the individual tracks leave that strong of an impression. 72. 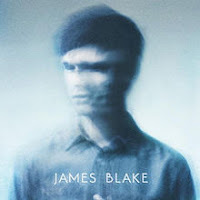 James Blake: An ice-cold, inventive mix of electronic, experimental, and soul influences, James Blake's debut is one of the most original releases of the year, but that doesn't make it consistently appealing. 73. 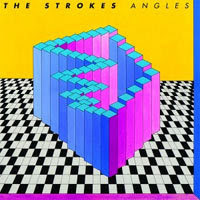 Angles - The Strokes: The Strokes latest gets of to a wonderful start, but is ultimately done in by too much ill-suited stylistic experimentation. 74. 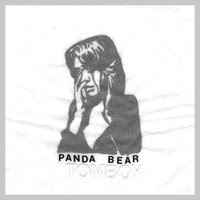 Tomboy - Panda Bear: Unique, cohesive, forward-looking in design...Panda Bear's Tomboy contains many trademarks of a classic album, but I just couldn't connect with its bizarre, distancing mix of heavily sequenced sounds, wall-to-wall Beach Boys harmonies, and introspective lyrics. 76. 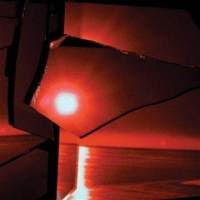 Red Barked Tree - Wire: Fans of art-punk legends Wire should find this latest, somewhat flat and subdued release appealing enough, but newcomers to the band are well-advised to start elsewhere in exploring the band's discography. 82. 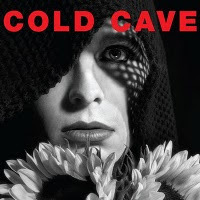 Cherish The Light Years - Cold Cave: Cold Cave's latest possesses a few solid tracks and a decent overall listenability, but its highly derivative goth/new wave style has been done much better many times over by other bands both past and present. 86. 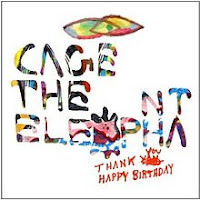 Thank You Happy Birthday - Cage The Elephant: A handful of very good songs aren't enough to save this otherwise failed dive into abrassive 90s nastiness. 89. New Brigade - Iceage: Classic, assaultive punk by way of four angry Danish teens. Fans of bands ranging from The Clash to The Futureheads will want to give this one a spin.